OpenWeb Fibre is Uncapped, Unshaped and Unthrottled – Always! OpenWeb offers Fibre on over 18 different Fibre networks in South Africa. The pricing you see below is for the OpenServe network. When you sign up below, we will check your coverage and if you are covered on one of the other networks, eg Vumatel, we will quote you. OpenWeb offers true Fibre access. No nonsense, fast broadband that you will love! 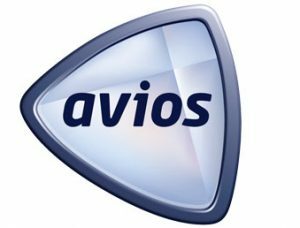 Collect 1 Avios for every R4 spend! By simply being a valued OpenWeb client, we will offer you 1 Avios for every R4 you spend on your Fibre line. What makes Fibre so special? Fibre is the latest generation internet connectivity that is possibly the most reliable connection available in South Africa. The best thing about Fibre is the consistency when it comes to speed and of course a very low latency (perfect for Gaming and Streaming). Is your Fibre really Uncapped? Absolutely! Unlike our competitors, we do not throttle the connection, ever. What this means is that they may be a few Rand cheaper per month, but when you hit a certain limit on their ‘Uncapped’ account, you get slowed down so badly it will be more interesting to watch paint dry than use your connection. We do not do that. Throttling is a terrible practice. What does Uncapped, Unshaped and Unthrottled mean? Unlike other ISP’s, you get pure internet access. We do not slow you down because we have nothing better to do with your time. Stream, Download and Play to your hearts content. How can you offer Free Installation and a Free router? Getting Fibre is an expensive activity. The Fibre networks charge thousands for installation, trenching, hardware etc. We have put a large sum of money aside to subsidise the installation and harware costs of your Fibre line. In turn, all we ask for is a 24 month commitment.